44 other birds have this item in their bag or wishlist! 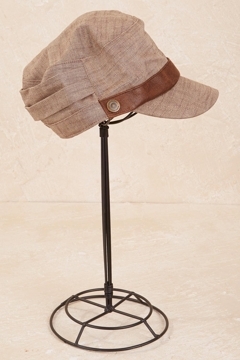 Great trendy, funky comfy hat. Not machine washable though prob due to trim but I think you could get away with hand washing??? This cap is probably more suited to colder seasons - but it's cute and chic with jeans and boots. Subtly elasticised back helps fit even a larger head!! Good quality. Great fit.